Even in the age of online shopping, nothing beats the wide-eyed wonder on a child’s face when they walk into a toy store. In and around Westhampton Beach, many locally owned toy stores that have been in the family for generations continue to operate. They offer the kind of in-store experience that has become increasingly rare in this day. 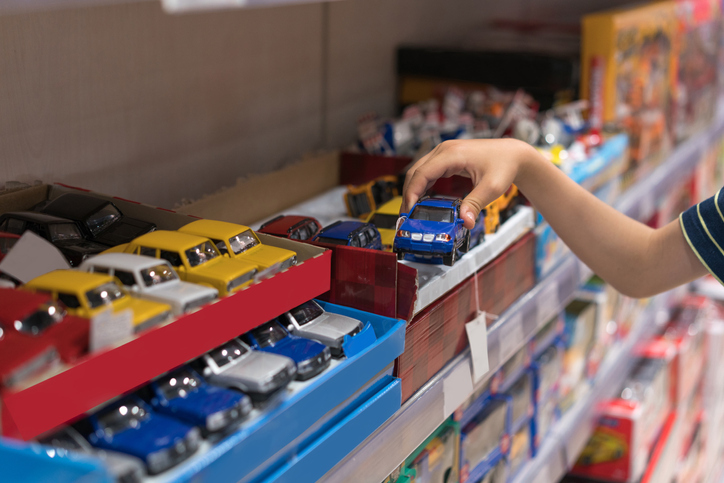 Here are six of the best toy stores that are sure to delight both you and your kids. This year-round business has been a town staple for nearly 30 years and includes timeless stuffed animals and puzzles, as well as trendy toys and the latest movies for children. This bright, beautiful store has all your gift needs covered. Look for gorgeous home accents and customized pieces just for your Hamptons home. You can find delightful candles and scents, as well as a selection of children’s clothes. Every town needs a toy store! And this store is a giant toy box for kids and adults of all ages. Don’t let the small size of this store fool you. Once you step inside, you’ll find wall-to-wall toys. Older kids, teens, and adults will be lured by the store’s collectibles and action figures from franchises like Marvel and Star Wars, as well as sports teams from the NHL. Since 1968, this quaint, family-owned specialty toy and gift store has become a landmark in Sag Harbor. The shop carries all types of toys from vintage wooden dollhouses to the new pretend pets. Adults might also be interested in picking up a few whaling- and Sag Harbor-themed merchandise. Visit their Facebook for updates. Enter a whole new world, where your kids can pick out toys, clothes, and collectibles featured in their favorite Disney films. The happy music and Disney clips that play on screens throughout the store will keep your kids entertained. Not only does this store carry a wide selection of toys, it also has an ice cream shop. Haul in the beach toys and puzzles that will keep your kids occupied and then treat them to SoCo Creamery ice cream. Salted caramel, cappuccino chocolate crunch, and dirty chocolate are the most popular flavors. There’s more charm in this community than you’ll find anywhere else. Learn more about Westhampton Beach and browse the available properties here. For inquiries, contact Kerrigan Country Realty at 631-288-9600 or broker(at)kerriganrealty(dotted)com. At Kerrigan Country Realty, we know the importance of toys and giving back to the community. Toys give children joy and provide them with opportunities for creativity, which is why we support the Marine Corps Toys for Tots and sponsor their Christmas Toy Drives.